Just been listening to Jonathan GW2HFR/P on Mynydd Nodol on 5.335MHz who was asked to QSY (via a spot) “up 20 kHz” to work a continental station. However for those who do want to work stations who only have access to the WRC15 allocation, it would be a bit more politically correct to use 5.354, as there is a data allocation at 5.357 - 5.358. Strangely, there is an “LA PSK center of activity” at 5.356, so I suppose you still run the risk of upsetting our Norwegian colleagues maybe they could comment on how much it is used and whether our sideband causes them problems. 60M band SOTA activity CW/USB usual frequencies? This hasn’t found its way onto the RSGB band plan, which lists 5.362 - 5.3745 for digital, could you give a reference for the plan for the WRC15 allocation please? No problem here, I put all the UK segments in the memories of the 817 in 1 kHz steps plus additional steps for our old channels which are still popular, so I can use “Sel” to tune our allocation. It was a mammoth session putting all that into the memories! Not aware of any band plan for the WRC15 allowance (5.3515 - 5.3665) just basing my comments on the most up to date resource I have which is Ian Wade G3NRW’s “Band Utilization Chart” currently dated 18th Feb 2014. The RSGB 5MHz page http://rsgb.org/main/operating/band-plans/hf/5mhz/ gives 5.354 as an SSB “channel” carrier frequency. I suppose it makes sense to utilize the space as effectively as you can. There is notable digital mode activity on 60m at the moment, which I suppose is ideal for them being undisturbed by other transmission modes notable on other bands. I find WSPR receiving to be very reliable on 60m. On 80m it is difficult due to interference here. As a side note I regularly hear CW operators on 5.4035 MHz which irritates me at times as this is a useful SSB slot. I will always aim to please. I will try and use 5.354 in the future. Anyway the good news from today is that the bad solar hasn’t stopped the South African QSO’s Tnx guys ! It’s a known spot frequency for DX CW operations because it’s one of the few common allocations across several regions/countries. Ian Wade, G3NRW’s chart is getting rather old now but it is still a useful reference. As is his 60m international allocation chart. It looked like it took a long time to get to my virtual number. I don’t know if the delay was your network or mine. I know that they handle so many calls that trying to get detail logging is impossible. I had a hell of a job getting Victor GI4ONL’s DeLorme to work. Messages from it never ever arrived. He’d send 3 SMS at once, 2 to phones and 1 to the virtual number and my phones would get the message at the same time and the virtual number, nothing. Solved in the end but hard work. I wonder if RRT is causing problems with SMS. I will try using a different client application. With web spots it will send out a spot but wont confirm correctly so I think it hasn’t sent on the mountain I resend it several times until I get a confirm by which time its flooded the cluster. I am glad it works Andy, I respect the fact that you spend your limited time developing such services. Sometimes it’s to learn new stuff. I’m an old grey-beard programmer now. The normal course is to stop developing and become a manager. It seems daft that when you get experienced (I won’t say good) you then stop and learn how to manage. The only way to stay competitive and useful is to play with new software toys. It was why I was talked into doing the database which entailed learning SQL and C# and stuff. I don’t think so Jonathan, RRT has been reliably spotting via SMS for me for a couple of years. From what Andy posted it sounds more likely to be something with the phone/data virtual network. Perhaps try sending once to a different SMS gateway, I know it’ll cost a little more but for a test, if a post to one of the other SMS gateways comes through straight away and a similar spot doesn’t make it via the UK gateway for some time, the conclusion would be what Andy is suggesting I think. I have been using 5354kHz on my recent ON SOTA activation because that WRC15 frequency corresponds to a UK allocation. I like Ian Wade G3NRW’s “Band Utilization Chart” since it depicts frequency and mode information graphically. Unfortunately the chart has not been updated recently. I have added the ON and PA allocations to my copy to visualize corresponding UK allocations. From PA there is a wider choice of frequencies to use for SOTA, e.g. QSY to 5395.5 would be no problem. As far as I know there is no band plan for WRC15. I often hear a data mode within the 5354 audio passband, it’s really annoying because I cannot QSY from that frequency for my ON SOTA activations. Looking forward to activating more ON SOTA on 60m. Just a general process of elimination Ed. I never rule anything out based on assumption of it being reliable in the past. It is more likely the gateway I agree, RRT has its issues, development seems to have ceased. I want to change. I use droid spot by Andrew K1YMI(GM1YMI). Or just the browser on the phone. If anyone has a pair of SD1487’s that they want to sell, I would be very happy indeed ! Lesson learned when I was younger - don’t experiment with vulnerable electronics passed midnight. 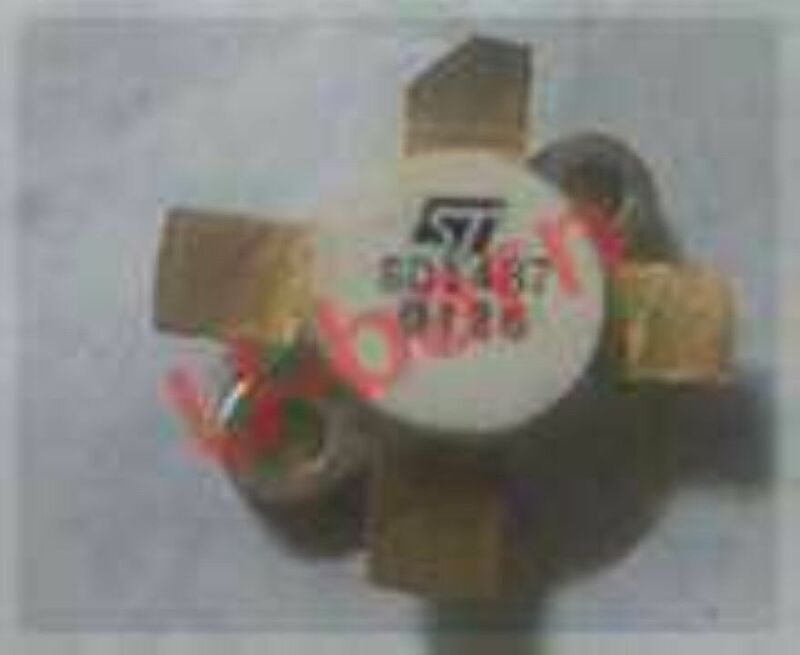 ST SD1487 RF TRANSISTOR,RF & Microwave Transistors HF SSB | Business & Industrial, Electrical & Test Equipment, Electronic Components | eBay! 5.3985 is the default for me normally, second to that is 5.335. 5.317 for AMAs a side note I regularly hear CW operators on 5.4035 MHz which irritates me at times as this is a useful SSB slot. 5.405 is the centre frequency of one of the USA 3 kHz channels and is recommended for DX working on CW. When the band is open from Europe to North America, many European stations use this frequency on CW to work North America. If your transceiver has a notch filter, you should be able to notch out any CW signal on 5.405 quite easily. Thank you for using 5.354 for SSB in preference to 5.355. I am very active on JT65 mode with a dial frequency of 5.356 kHz and SSB operation on 5.355 does cause inconvenience to data-mode operators. We do try to keep our tones between 5.357 and 5.358 kHz. The RF frequency of the lowest tone is governed by the audio frequency that you inject into the USB transmitter. This is controlled by the software. Most importantly, in the UK one has to be very careful not to radiate any signal above 5358.0000. Rounded up to the nearest 10 Hz, the width of a JT65A signal is 180 Hz [actually it’s 174.9605 Hz to be precise! ], so with a dial frequency of 5356.0000 you have to set the software so that your lowest audio tone is no higher than 1.8200 kHz. (5356 + 1.82 + 0.18 = 5358). You can, of course, use lower audio frequencies than this but it is not recommended to inject audio frequencies of less than 1.3 kHz because the second harmonic of such frequencies would fall within the standard USB passband of 2.6 kHz and could be radiated as spurii. I hope this makes sense. Walt, as I seem to be using 60m for the first time in a long time, your comments on where and what people do is very useful to me. The allocations and use have grown since I was last very active. Didn’t realise the tone frequencies of JT65 were user selectable, thought the lowest audio tone frequency was defined by the software as 1270.5Hz hence my comment.